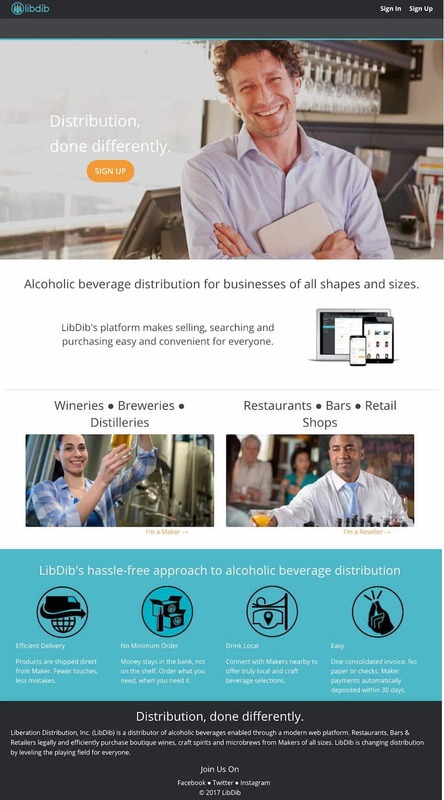 Liberation Distribution (LibDib) has formed a “strategic partnership” with Republic National Distributing Company (RNDC) that will allow the Silicon Valley-based web-based distribution platform to expand distribution for its wine and spirits clients into the wholesalers’ 22-state footprint. Previously, LibDib’s online platform helped smaller alcohol brands obtain market access in California and New York. The partnership with RNDC will allow both companies to expand web-based, three-tier distribution, while also providing RNDC and its clients with access to tech and data, the companies said in a press release. The partnership, however, will not affect either companies’ beer brands. “Moving forward, we’ll have to determine beer distribution on a state by state (or market by market) basis,” LibDib senior director of marketing Holly Nuss told Brewbound, via email.